Monarch Air Group provides private air charter in Daly City, CA. Our clients benefit from top-notch service, unrelenting dedication to safety, wide selection of aircraft, and years of experience in chartering private jets. To obtain a free quote, please use our online quoting tool provided below, or call toll free 1-877-281-3051. Monarch Air Group provides private jet charter flights in and out of Daly City, California, USA. 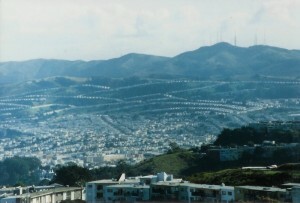 With a population of 101,123 people, Daly City is the largest city in San Mateo County. It is situated south of San Francisco, and is named in honor of landowner and businessman John Daly. With rich history, friendly atmosphere, great shopping and excellent restaurants, Dali City attracts both business and leisure travelers from all over the world. The most notable tourist attractions are Cow Palace, Olympic Club, Golden Gate National Recreation Area, Giammona Pool, Jefferson Pool, Westlake Shopping Center, and many others. The nearest airports include San Francisco International Airport (SFO / KSFO), which is situated 11 miles from the city center, Oakland International Airport (OAK / KOAK), which is situated 26 miles from Daly City, and San Jose International Airport (SJC / KSJC), which is located 44 miles from Daly City. 13. NGZ, NAS, Alameda, United States. 14. NOT, Novato, Novato, United States. 15. NUQ, Moffett Field, Mountain View, United States. 16. OAK, Oakland International Airport, Oakland, United States. 17. PAO, Palo Alto, Palo Alto, United States. 18. RHV, Reid-hillview, San Jose, United States. 20. SFO, San Francisco International, San Francisco, CA, United States.